After a stunning first season in Indonesia, we decided to tell you more about our exceptional trip. 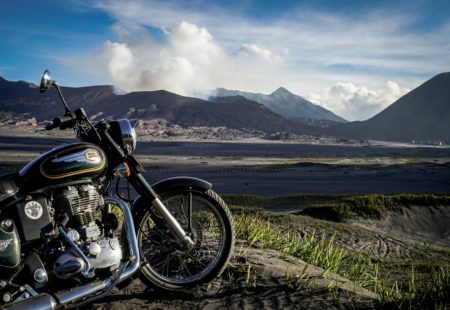 On the Volcano Road, from Bali to Java, propels you into another space-time. 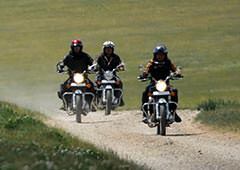 Follow us to the volcanic antipodes for an extraordinary adventure with a Royal Enfield. Once upon a time there was Bali, a little corner of paradise between Southeast Asia and Oceania, also called "The Island of Gods". Singular and fascinating, it has fiercely kept its Hindu identity. Traditions remain extremely alive, coexisting with the tourist boom. 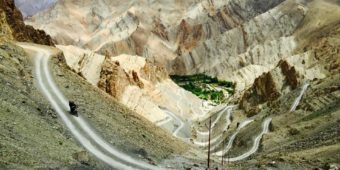 A few turns of wheels are enough to sink in the lands, where others don’t go. But we don’t stop there, more than the obvious exoticism of Bali, we sought to create a unique journey. From Bali to Java, we take you from one world to another, meeting the soul of Indonesia. Once the motorcycles embarked on the ferry, we go back up time of one hour and prepare for the big show. We discover then the sincere smile of the Javanese, an intact nature and breathtaking landscapes. 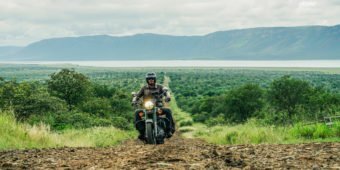 This motorcycle adventure, soft and intense at the same time, like Bali and Java, is the promise of a total change of scenery. Prepare yourself to be surprised! In 12 days of trip, you’ll be amazed. 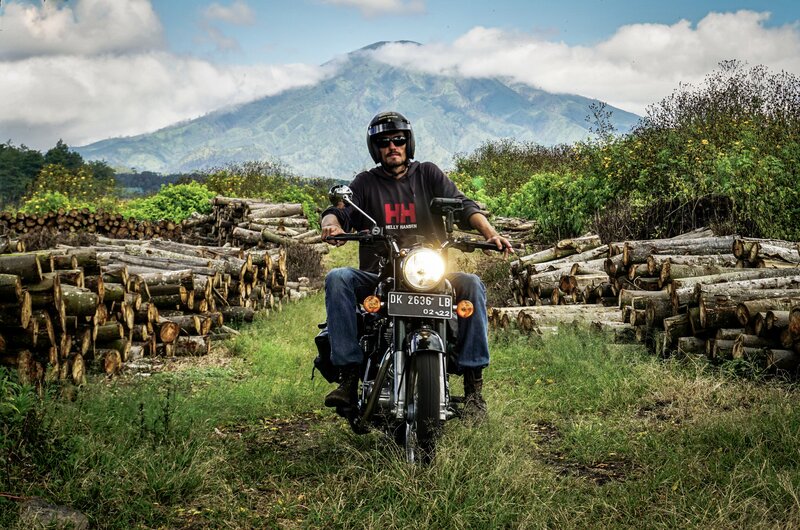 It all starts in Ubud, cultural and artistic capital of Bali, HQ of Vintage Rides. The city doesn’t lack attractions: restaurants, bars, craft shops and art galleries merge with the local life, at the rythm of rites and daily offerings. 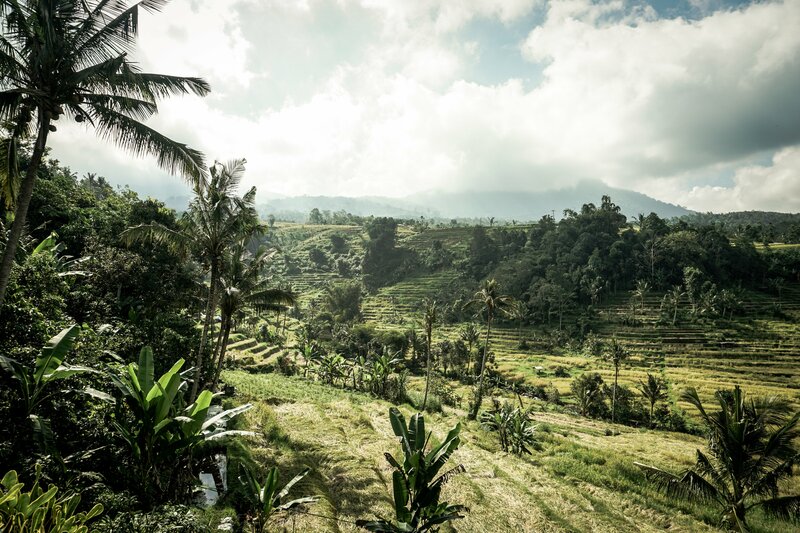 The single cylinder snorts towards the Balinese countryside! On the island of gods, even the rice fields are classified at Unesco. Water and land come together to reflect the sky, grow rice and magnify landscapes. Millennial temples, small fishing villages, sacred springs, wild waterfalls, coffee plantations, cloves ... The incomparable harmony and beauty of Bali will seduce you instantly. Not to mention the crazy black sand beaches and snorkeling in Bali's most beautiful seabed on Mejangan Island. Larger and densely populated, Java embodies tolerance through its multitude of ethnic groups. 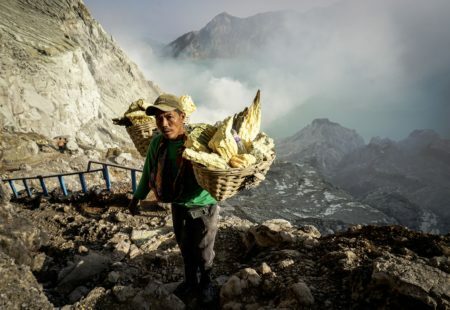 On the program of your volcanic baptism: the ascent of Kawah Ijen, to admire the largest acid lake in the world where the sulfur carriers still work. 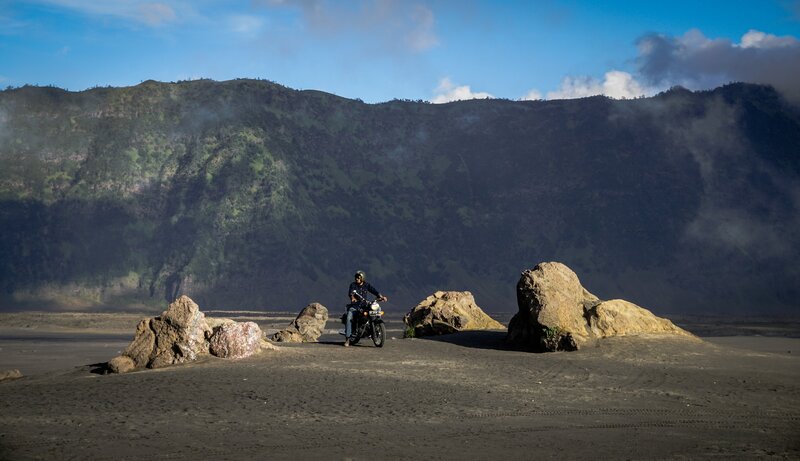 More steaming mountains await you in the Bromo-Tengger-Semeru National Park. 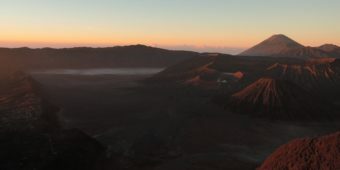 You attend the daily meeting of the sunrise on the Bromo and its active neighbors. The long-awaited moment comes when you put the wheels in the caldera, "the sea of ​​sand". The lunar landscapes of gigantic proportions will hypnotize you for sure and part of your soul will stay there forever. A last night near the beach of Sukamade will give you the chance to watch the laying of giant sea turtles. The return to Bali is smooth. Let yourself be captivated one last time by Mount Agung, the highest peak on the island, sipping a cocktail in the sand of Amed. Why go to Indonesia according to Francis? Francis, our motorcycle tour leader for the first season, is unambiguous: "This itinerary is a must!” For our regular riders, he compares: "In Indonesia, you have the dolce vita of Sri Lanka and the intensity of Ladakh.” To define both islands, he tells us that "Bali is the absolute peace of the senses, while in Java, the trip turns into a real fantasy tale. The islands are very different in terms of hotel infrastructure, population density and road conditions. In Java, there’s a lot of off-road to avoid the main axes but no major technical difficulties. It’s especially the pace that must be taken into account, be enduring and not be afraid of morning awakenings. This 12-day itinerary between Bali and Java is intense as there are many things on the program, including walking tours to climb volcanoes. "After the Javanese adventure, everyone is tired and euphoric at the same time. Back in Bali, the two nights in Pemuteran are welcome, you eat grilled fish on the beach after swimming in turquoise water among the multicolored corals, what a dream! " 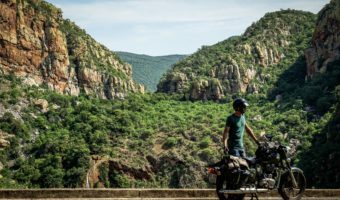 For those who have less time, a tighter budget and want a quieter motorcycle ride, we have drawn a second itinerary full of surprises. Only on Bali, this 8 day trip is a combination of beauty, refinement and comfort. One arrives then, surprised and amazed, in the heart of an authentic Bali, preserved, far from the crowd of the beaches of the south. 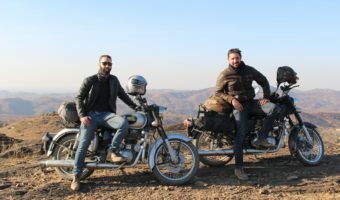 We often know Bali for its surf spots, we know less than the island of gods hides beautiful winding roads particularly suitable for Royal Enfield trips. 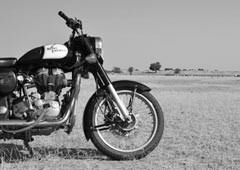 The bike has as much charm and character as Bali itself! 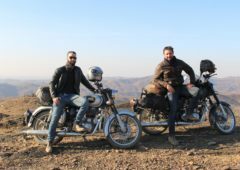 For more information on our motorcycle trip Indonesia "Balinese Getaway", we suggest to get in touch with one of our motorcycle tour experts. 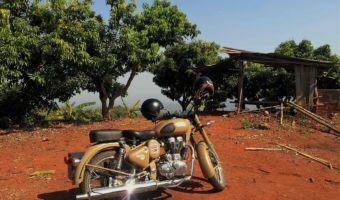 Vintage Rides>The blog>Travel Stories>Indonesia: Infinity and beyond!